The email archiving and cybersecurity solution provider GFI Software has announced it has launched a new customer loyalty program called GFI Prime. Customers qualifying for GFI Prime will be given benefits as a reward for choosing GFI Software as their cybersecurity or email archiving partner and will be able to select at least one additional product from the GFI Software range and install and use the solution free of charge. The program rewards customers who have been using qualifying GFI Software products for more than a year. From September 1, 2016, customers qualifying for the GFI Prime loyalty program will be able to install one additional GFI software product immediately. 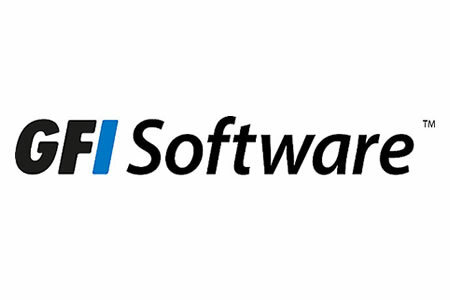 When customers take out a new plan over multiple years, or renew a multi-year license or subscription, they will be allowed to install an additional GFI Software product without charge. GFI Software notes that the additional products will continue to be provided free of charge as long as licenses or subscriptions to qualifying GFI Prime products continue to be renewed. Existing customers can check eligibility to take part in the GFI Prime program by logging into their GFI Accounts Portal. If they qualify for GFI Prime they can choose one of four products to install and use free of charge: GFI EndPoint Security; GFI Archiver, GFI WebMonitor or GFI EventsManager. GFI says the list of benefits included in the GFI Prime loyalty program will be increased throughout the year and beyond. While the free products can be upgraded to the latest versions when software updates are released, and access to the full range of training, Knowledge Base and support resources is provided, technical support for the products will be a chargeable service. If required, this must be purchased separately. With GFI Prime we join our product portfolio and the needs of our customers, enabling them to build safer, more reliable and high performing IT environments”, explains Andre Muscat, Senior Vice President and Chief Product Officer at GFI Software.